Stations Department includes 5,000 members who work in stations and assorted locations throughout the system, including Station Agents, Cleaners, as well as workers who handle supplies for Supply and Logistics, and Revenue Collecting Agents. 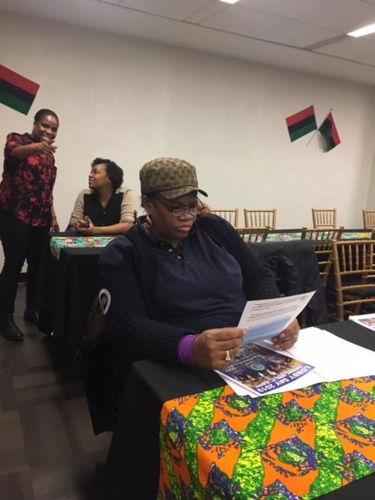 Click here for information about our next meeting. For Our Meeting Notice for our Next Division Meeting click here. A substantial number of CTA's did not receive their jackets because the items were "undeliverable" to their addresses. Click here for a list of names of CTA's who did not receive jackets for this reason. SNOW DUTY: We are in the process of creating a list of all members who were not paid snow duty over the past 5 years. We are looking at ways to make sure you are paid on time! We are also using this information to hold management accountable! 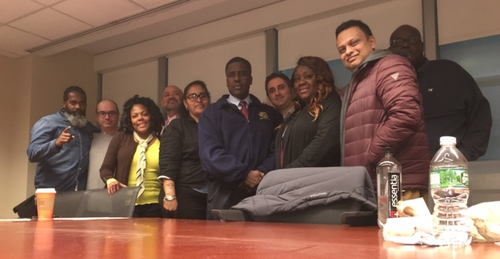 Any Cleaner who have not been paid for snow duty should call the Union office at: 212-873-6000x2036. All cleaners are encouraged to get a copy of your sheets when requested by management for snow pay. PROVISIONALS : We are proud to say that we have been on management with making the permanent list complete. We met with Human Resources and there are 389 provisional Station Agents that appear on Exam 6600. As of March 4, 2019 152 of these members have been made permanent. The list number is currently at 745. You can contact the Station Department Office to confirm your status. Congratulations to all of you. We are still fighting to make sure the proper information is being sent! 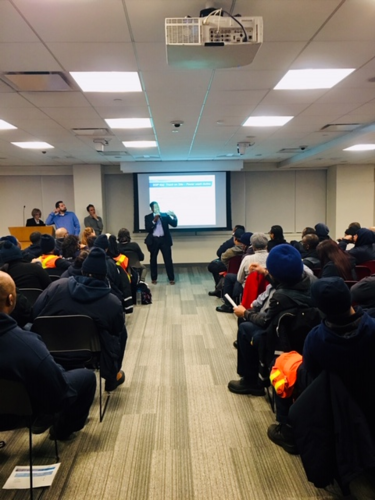 On February 27, 2019 we went to 2 Broadway and stood with our Mobile Wash Teams to assure them that they have rights! The crowd went bananas when they saw our presence and heard from the new administration on member protections! DEEP CLEANING: As we move forward in preparing our cleaners to take over. We have 583 Mobile Wash members who have provided access and observed the cleaning with pay. This number will continue to grow, as many of our Mobile Wash Members truly deserve the overtime for working hard throughout the year! 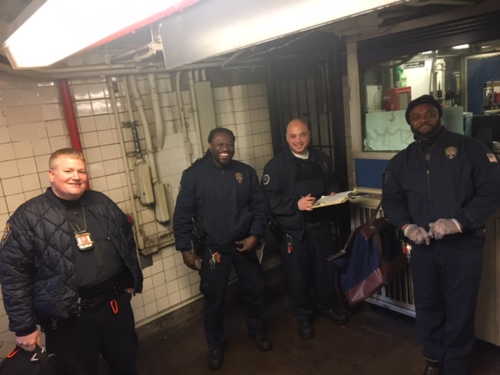 Collecting Agents: Management has moved forward with their Subway Action Plan for the Revenue Department. They have already started installing the Tap and Go System. This feature will begin Phase 1 starting in May 2020. We must look to fight and continue to measure the value in service by our Collecting Agents! All Collecting Agents must come to the meetings and get clarity on future job placement. When we sat with management, it was explained that the introduction of the New Fare Payment System has 4 phases. Job security is a must! 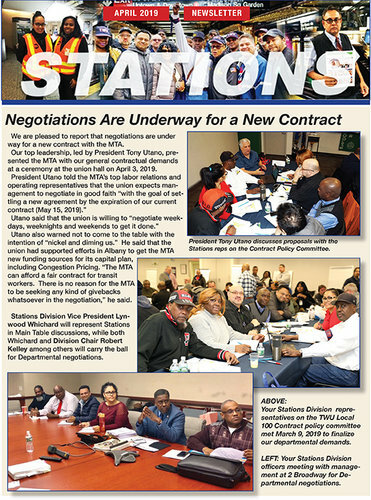 Please contact your Division Vice Chair, Della Cadichon, and give him your Contract Demands if you cannot put it on our website in a timely manner. 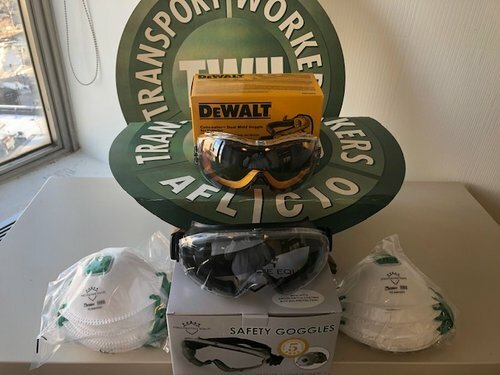 SAFETY STAND DOWN! 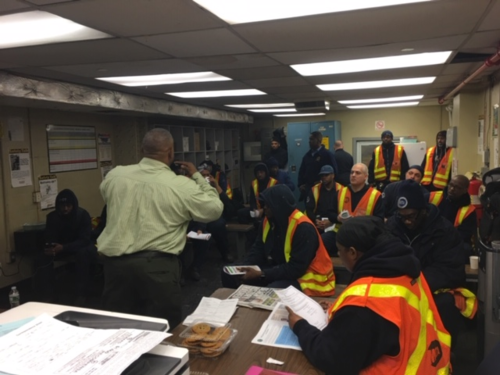 On Wednesday, February 27, 2019 our team went to observe what management described as a Safety Stand Down. During the meeting we noticed that management was talking about introducing new Mobile Wash Operating Procedures. We reviewed the information and noticed that it was a (Draft). None of the information was complete. 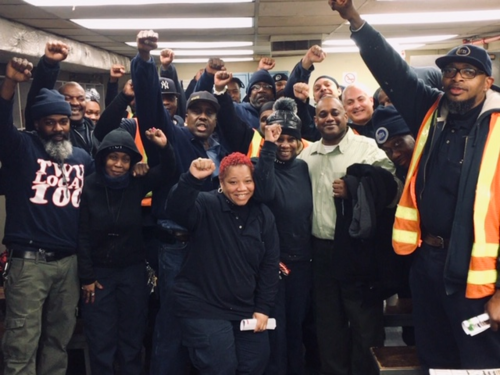 We made it clear to our members that we will protect you with every ounce of fight in us! We appreciate the great response from you, the members. More info on these will be forthcoming.